There’s never enough BBQ. Never. Seriously….never. 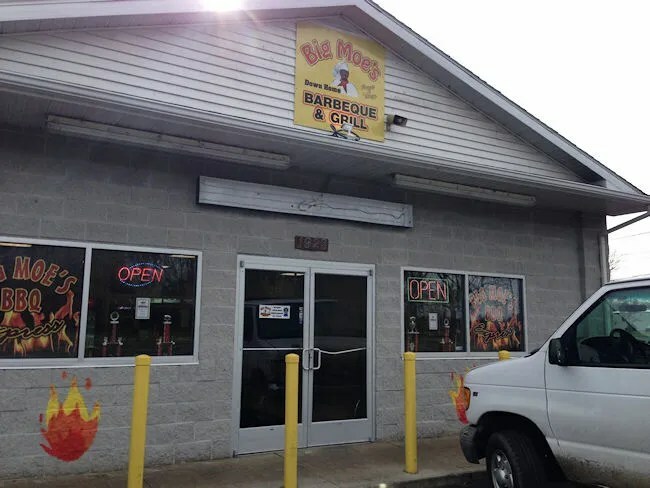 A couple of days ago, I got a text message from J saying she just passed a building on Gull Road with Big Moe’s BBQ signs plastered all over it. 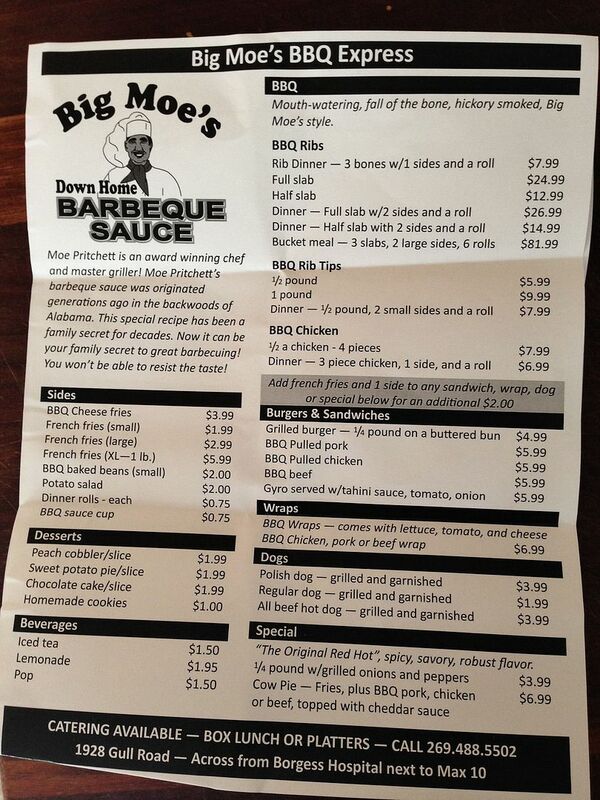 Turns out, Big Moe’s opened a new restaurant to serve up their award winning BBQ sauce alongside some delicious smoked meats. The new restaurant is near Borgess Medical Center on Gull Road. It share a building with a party store across the street from the Max 10. The last I knew, that building had a sign for what I assumed was going to be a Chicago Style joint, but that never seemed to come to fruition. 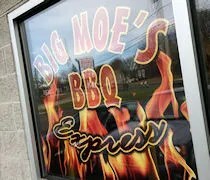 Big Moe’s just opened their doors a few days ago. I’m pretty sure J and I were in there on day two. We left L at home with J’s mom and just planned on doing carry out for the four of us. The menu is pretty standard for a BBQ joint. They have all of the pork favorites, but they’re notably missing brisket which is what J’s mom likes. 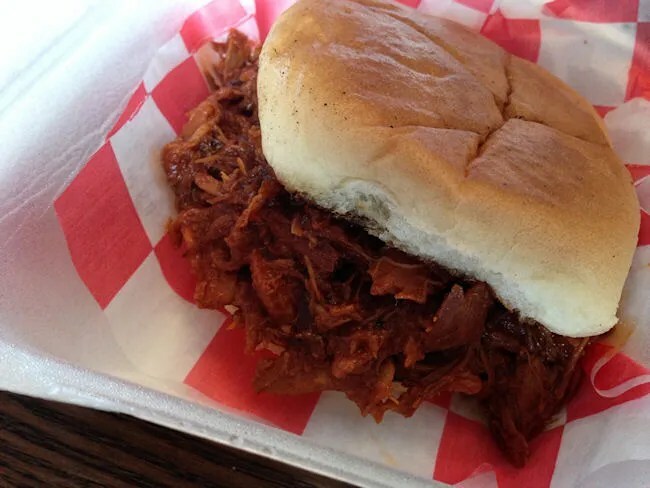 They did have a Beef BBQ Sandwich so that’s what we got here. 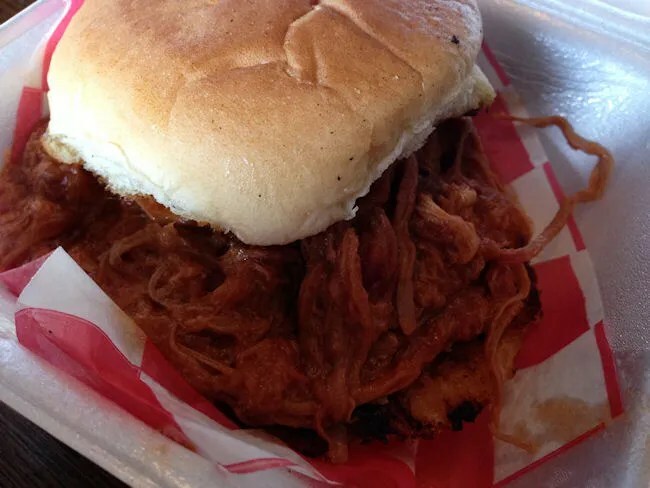 J stuck to her typical pulled pork sandwich while i ordered a 1/2 lb of rib tips. I also added on BBQ cheese fries while J ordered baked beans for her side and potato salad for her mom. After paying for that meal, we actually decided to add on a BBQ chicken as well thinking we could just take it off the bone for L. They don’t have mac & cheese which is what we usually get L at BBQ joints. We took a seat in the small dining room while our meal was packed up. The total for the four meats and a side of the fries was right around $30 and the BBQ was packaged up and handed to us in a little over five minutes. The thing we instantly learned about Big Moe’s is you have to like their sauce. Their sauce is everything. Everything they serve is just swimming in it. I had to use a fork just to find the rib tips in the pool of sauce that was in the small Styrofoam container. When we popped open the sandwiches, it was actually hard to tell the difference between the pork and the beef just by looking at them. I had to taste each a couple times to make sure the right sandwich went to the right person. There’s just so much sauce. The deal is, though, I like Big Moe’s sauce. I always have a bottle in my fridge and I use it liberally with fries and on sandwiches, but with BBQ, I like it smokey and while all of the meat is tender like you would expect of meat coming off a smoker, but the smokey flavor is masked by the abundance of sauce. It’s still super delicious, but you just have to be aware that you really need to like Big Moe’s sauce. I was lucky enough that I pretty much got to try all of the meats and all of them were delicious. 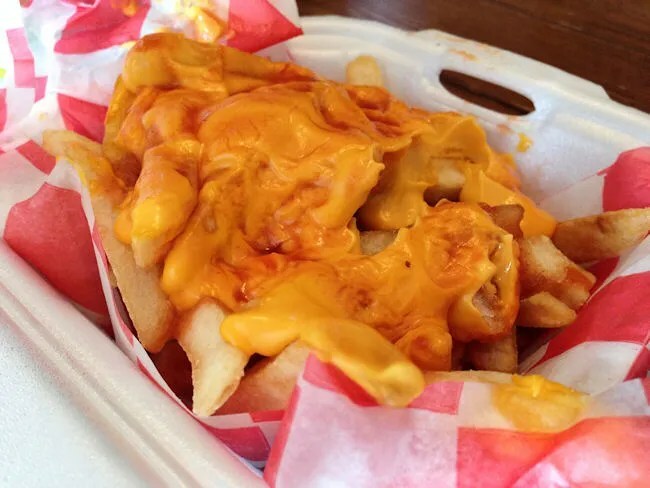 The BBQ Cheese Fries ended up getting shared as well. I ordered them for myself, but we passed them around. They were pretty simple fries with a pretty simple cheese sauce, but like everything else, it was covered with Big Moe’s BBQ…so of course they were delicious. As I mentioned at the top of this post, there’s no such thing as too much BBQ and I love that Big Moe’s finally opened their own storefront. 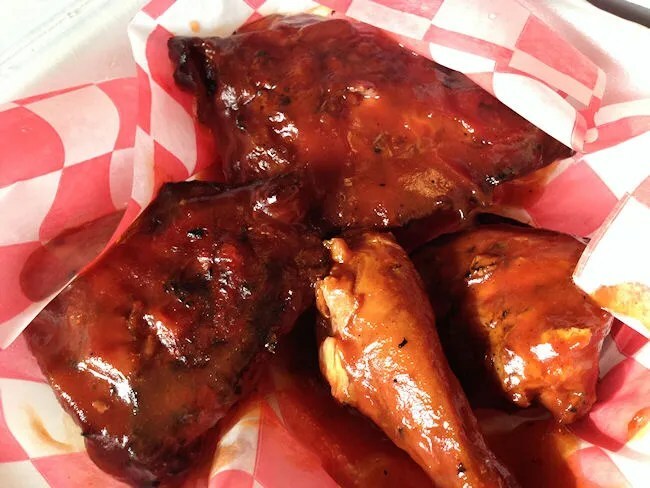 It’s not the type of BBQ I typically go for, but they really have a great sauce and it’s hard to say no to that sweet and spicy combo that comes from Big Moe’s. I LOVE his BBQ chicken sandwiches!